Winning Best Comedian in Spokane is one thing. But Deece Casillas hopes to win your vote for something far more ambitious: mayor of Spokane. "I actually genuinely want to run for mayor of Spokane one day," Casillas says. "Not this time, because I like [City Council President] Ben Stuckart too much. But after one term I might come after that mayoral belt. Is there a belt? I think there's a belt or something." Casillas, 36, does have a finger on what makes Spokane great, and what deserves to be made fun of. He's able to leverage that for his stand-up comedy across the region and for his podcast and talk show, The Social Hour. Casillas says it was a "happy accident" that he ended up in Spokane. He was born in Los Angeles, but he left and was a "vagabond" traveling around the country, he says. He landed here, met a guy in a bar who gave him some work and decided to stay. That was 10 years ago this month. "[Spokane] is a very different world from where I came from. But I like it," he says. "I like being able to be aware of the things around me and make fun of them. There's some pretty quirky things we can make fun of." It's proven a good place to start doing comedy, too. Casillas recently opened for comedian Whitney Cummings, something he says is "almost cheating." "You have 320 people all there to have a great time," he says. "It's like a DUI checkpoint: All you can do is screw it up." 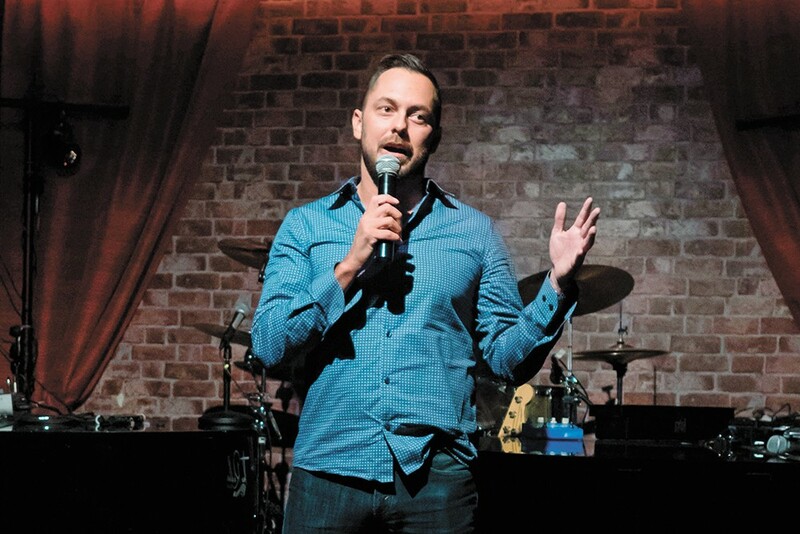 He feels more rewarded when doing his monthly The Social Hour After Dark shows at the Spokane Comedy Club, a more intimate setting where he can do sketches, monologues and interview community leaders. Those are the kinds of shows that drew him to comedy in the first place growing up. Casillas remembers as a kid pretending to fall asleep in the living room while his dad was on the couch, just so he could stay up and watch The Tonight Show and Saturday Night Live. His end goal is doing something similar to The Social Hour on a larger scale, potentially in a bigger city someday. But maybe not too soon. "I do have a love for Spokane," Casillas says. "I think it would be fun to be involved in helping it grow as a city." The original print version of this article was headlined "Best Comedian: DEECE CASILLAS"